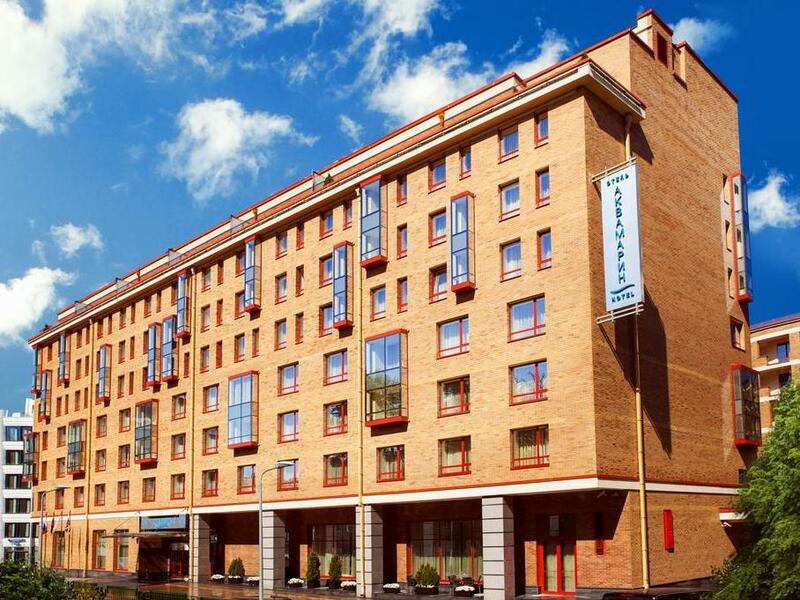 ﻿ Aquamarine Hotel Moscow. JIMAT di Agoda.com! Ada soalan mengenai Aquamarine Hotel? Bagi para pelawat yang ingin menikmati sepenuhnya pengalaman di Moscow, Aquamarine Hotel merupakan pilihan tepat. Dari sini, tetamu boleh menikmati semua kemudahan yang bandar ini tawarkan. Penginapan ini berada di sekitar kawasan tarikan bandar yang popular seperti Art Ru Agency, Agency Art.Ru, First Moscow Sunni Mosque. Menawarkan tetamu perkhidmatan yang unggul dan pelbagai kemudahan, Aquamarine Hotel komited untuk memastikan penginapan anda berada di tahap seberapa selesa yang mungkin. Penginapan ini menawarkan khidmat bilik 24 jam, Wi-Fi percuma semua bilik, pengawal keselamatan 24 jam, pengemasan harian, kedai cenderahati untuk memastikan tetamu menikmati keselesaan yang terbaik. Aquamarine Hotel mengandungi 159 bilik yang dihias indah dan menawarkan televisyen skrin rata, telefon di bilik mandi, karpet, cermin, selipar. Hotel ini menawarkan kemudahan hebat, termasuk pusat kecergasan, sauna, spa, rumah urut, bilik wap, untuk membantu anda berehat selepas hari yang penuh aksi di bandar. Apabila anda mencari penginapan yang selesa dan mudah di Moscow, ijadikan Aquamarine Hotel sebagai rumah anda seperti berada di rumah sebenar. great location, with good amenities. staff were helpful. Only negative points are: 1. Sauna area not enough space for relaxing. A relaxing room where you can lay down and read a book would be necessary for me to use the sauna every day. 2. Wi-Fi spotty sometimes. Always worked on phone but not very well on my laptop, not sure why. Not special but Clean and Standard for use. Clean and nice, prety close to the Metro station. Price-list in restoraunte was too high! EXCELLENT HOTEL, WELL LOCATED 15 MN WALK FROM RED SQUARE, VERY CLEAN, QUIET, MODERN, GOOD ENGLISH SPEAKING STAFF, VERY GOOD BREAKFAST, CLOSE TO METRO. RECOMMEND TO ANY ONE STAYING IN MOSCOW. We found the hotel quite well situated, about 20 minutes walk to the kremlin area. There is however lots of places to eat and drink within a few minutes walk from the hotel. The staff are very helpful and all speak good English. Th rooms were modern and very comfortable, if you gave forgotten anything the staff were more than happy to assist you. There is a minibar in the room and the prices are reasonable. 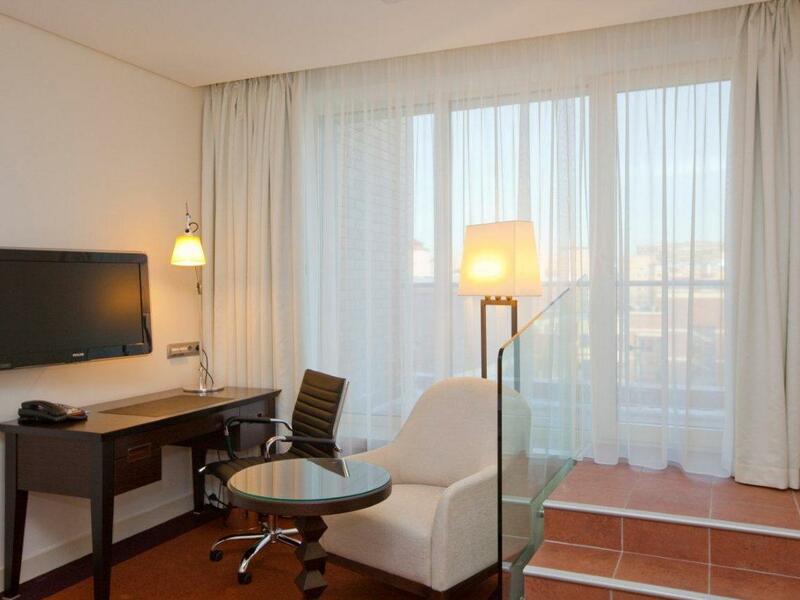 The hotel will arrange a taxi to and from the airport for you. There is a spa which I didn't use but I popped down to look at, the prices were fair. Overall we had a great stay. Would I return? Yes !! First of all, We’d like to say thank you to the staff for helping with visa sponsorship on short notice (20 minutes!!) 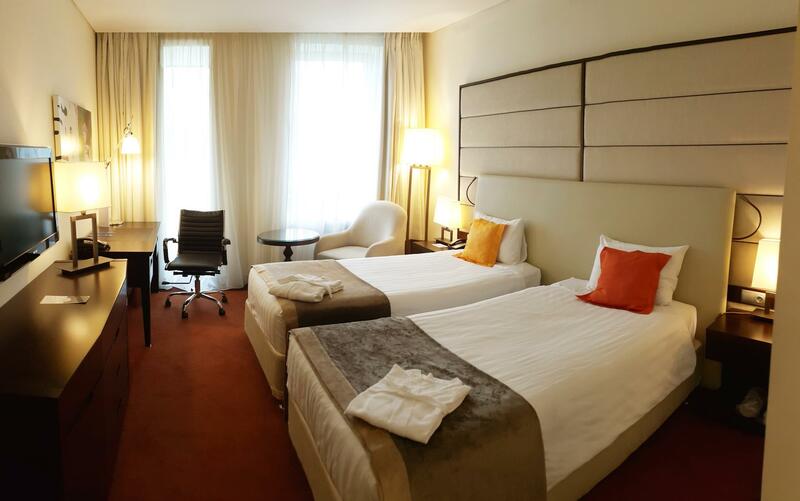 Overall we had a pleasant stay: quiet location in the city center; clean modern rooms, friendly staff. 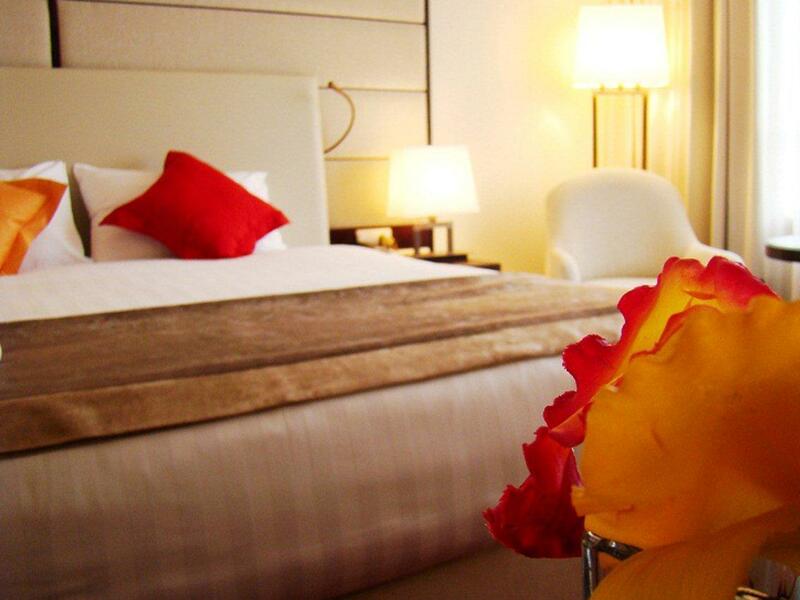 We would recommend Aquamarine Hotel to friends & would stay there again. If you stay in Moscow during a warm season, you can have a pleasant walk to the center from the hotel. There is also a tube station 15 minutes away. We were (un)lucky to experience -27 in December, so it seemed like a long walk to us. no point taking a taxi, since the traffic is so bad that you will spend your day in a car. 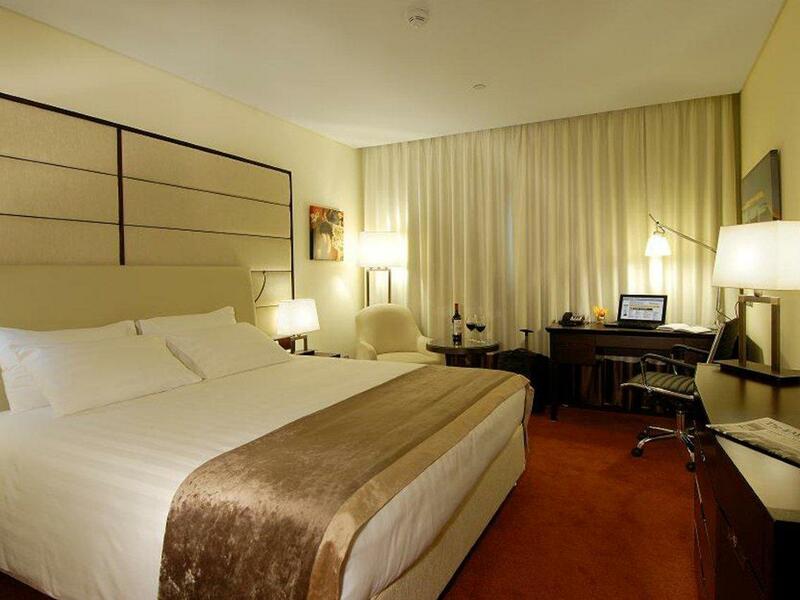 The hotel is new, has very comfortable specious rooms. There was a good variety of food for breakfast, however were were not impressed with the hotel restaurant where we went for dinner. It was very expensive and nothing special. Good hotel .. located in newly created business district .. home to international company offices and luxury flats.. surrounding area a little tatty .. but safe and pleasant enough to walk to / from Hovokuznetskaya Metro and Paveletskaya Metro / Railway stn 20 min walk to Kremlin / Red Square .. all in all very nice. However, bathroom .. altho' adequate is a bit small .. showering in a short, narrow bath with a plastic shower curtain is not ideal .. risked slipping over on several occasions ... Again .. inadequate bearing in mind hotel pricing and market segment .. not something one expects in a fairly new, modern, business traveller's hotel ... Was .. indeed I still am ... a trifle annoyed that altho' handed in Russian Registration form with passport .. hotel did not give me registration back on departure ... only found out about it at my next city / hotel stop who had to call Aquamarine hotel .. who stated that it had been ready for my collection .. but failed to explain why wasn't it given to me at check-out.. Another example of the Russian approach and attitude to customer service .. it's pretty much non-existant .. unless one asks the right person ... the right question .. Clearly totally unacceptable at this type of hotel when paying inflated prices .. one should be able to expect and receive BETTER! this is new hotel, its tucked away off in a side street so its nice and quiet. Nice interiors, good rooms, food is also good. 5 min by taxi from the airport express that runs from Domededevo into moscow. You can walk from the hotel to the train station it takes about 15 min. Only one real criticizim, is to beware of the taxi's operating from the hotel, they are crazy prices, something this hotel needs to sort out. they wanted to charge me 700 rubals from the hotel to the metro on morning, which took me 8 mins to walk and should normally not cost more than 200 rubals for. the traffic in moscow is a nightmare, the underground takes getting used to but will save you both alot of time and money and is well worth the effort. 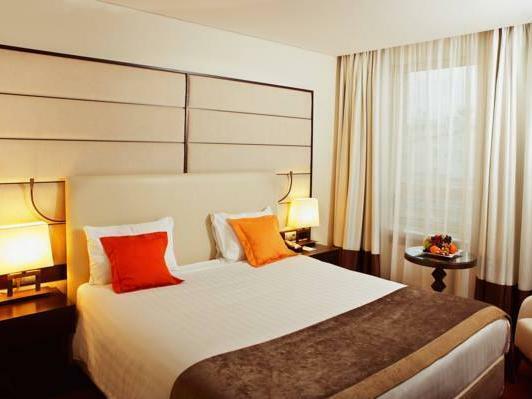 Nice hotel located close to the centre, very relaxed atmosphere and friendly staff. close to metro station, quiet area. it was just fine. well, i can't say it was the best for the price, but.. it's russia. so, i just admit it. The location was okay.. but one thing i was disappointed at was the staff's service mind. Restaurant staff was kind, but receptionists were not. (well, girls were okay, but guys.. But my stay in the hotel was good in general.